Just a quick update on how the solar system is working out. Everything has been going great, and it’s getting even better now that the days are getting longer. We recently hit a record of going nearly a full month without having to run the generator at all! Even on partly cloudy days we generally collect enough solar power to fully recharge our batteries, which is ideal. Hopefully we will be able to break our record as spring turns to summer! Well, we are still alive and, yes, still trying to get everything done on the house to get our full occupancy permit. The push to get our partial occupancy was pretty draining, and so I ended up slacking and taking most of the winter off. Now that spring is here it’s time to get back at it! One of the things I got squared away was to build a small retaining wall out of some 6×6″, 12′ long pressure treated beams. 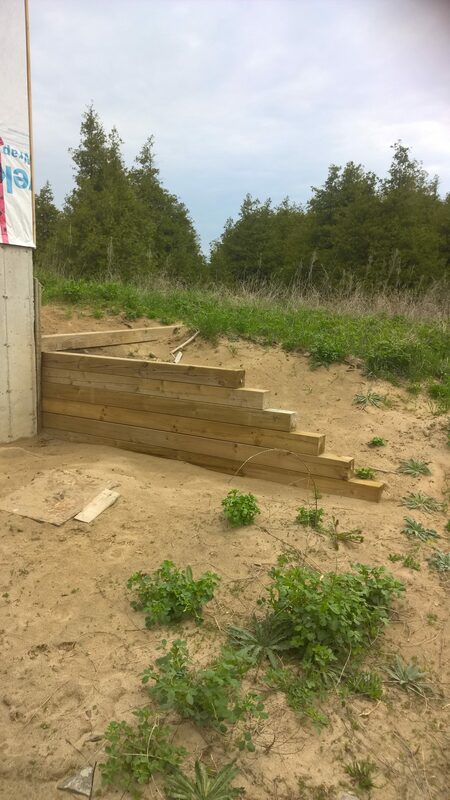 We desperately needed to get that in place, as we have no gutters, so every time it rained it would wash away more of the sand backfill from the back side of the house. I still have to add a couple of more beams to the top, to finish it off to where it needs to be, but it’s already made a huge difference. Small retaining wall to prevent erosion. We will need to get in a bunch of topsoil and backfill the area, then seed it out with grass to finish it off completely. One of the other, easy things, to cross off our list was to seal our sump pump pit. It’s just a simple kit with a sealing gasket and a foam insert to seal the opening in the lid. 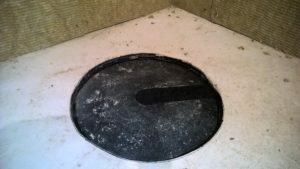 As we have had no problems with flooding since we’ve been here, we have opted to pass on installing a sump pump for now. One of the other things I got around to starting (lots of starting – it sometimes seems not as much finishing!) 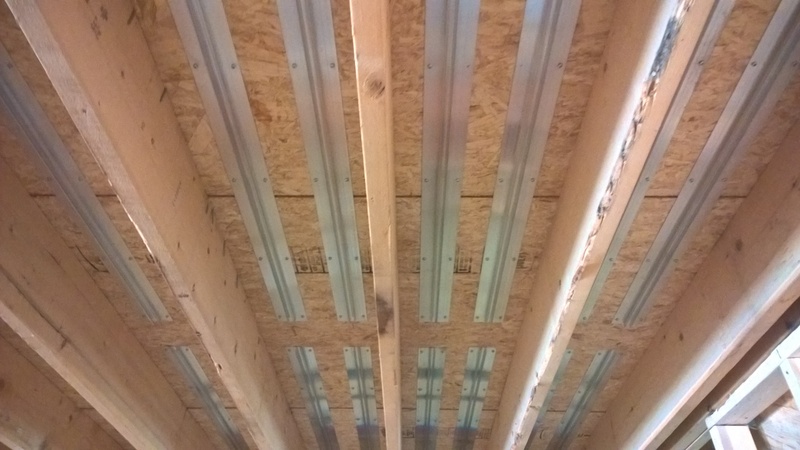 was installing the aluminium radiant heat panels to the ceiling of the basement, to provide a warm floor upstairs in the house. These are real solid panels and are nice in that you install them first, then you can just snap the pex tubing into them – the other kind you can get, you have to install with the pex tubing and are a bit of a bother from what I’ve gathered. I’ve found them pretty easy to install but it takes some time as there are 10 screws per panel. 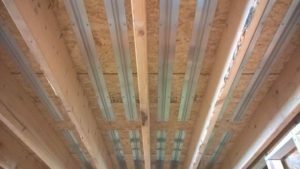 I got lucky as the spacing for them is quickly and accurately measured with a spare piece of 2 1/4″ hardwood flooring, which is handy for having them all consistently installed from joist bay to joist bay. Still have a couple hundred more of these to install down there but it is coming along. Hope you’ve enjoyed the update after this long period of silence! There’ll be more updates coming soon, as I’ve gotten a few other things done – but I’ll end it here for now.